One of our favourite home grown ladies is getting set to welcome another bub in 2017! Rachael Finch has taken to social media to share a photo of her eight-week ultrasound and the news that she is currently 12 weeks pregnant. Rachael, who married her Dancing with the Stars partner, Michael Miziner in 2013, is also mum to nearly-three-year-old Violet. 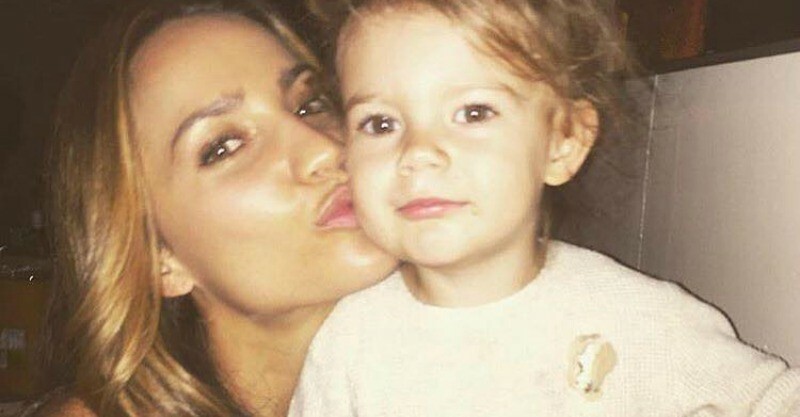 The toddler often appears on Rachael’s social media sites and is just as stunning as her former Miss Universe mum. Rachael recently turned down an opportunity to cover the Rio Olympics, citing fears about the Zika virus. It turns out the TV presenter was already pregnant when she wrote “Misha and I are wanting to have more children and with the Zika virus an issue we don’t want to take the risk”. Rachael also made headlines in May after admitting she and her hubby get Grandma to babysit every weekend so they can have some time alone. Well, hey, if child-free weekends means more baby-making, then go for it Rach! A massive congrats to the growing family. Check out some of the other celebrity mums from Australia and overseas expecting babies in the upcoming months.